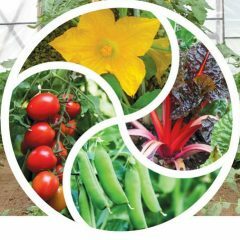 I’ve started my year of monthly posts about Asian greens with one about senposai and at the Mother Earth News Fair in Vermont this past weekend, I presented my slide show on Asian Greens, which is here for those who missed it. Click the diagonal arrow symbol to get the full screen version. Today, back on the farm, I spent the morning in the hoophouse. 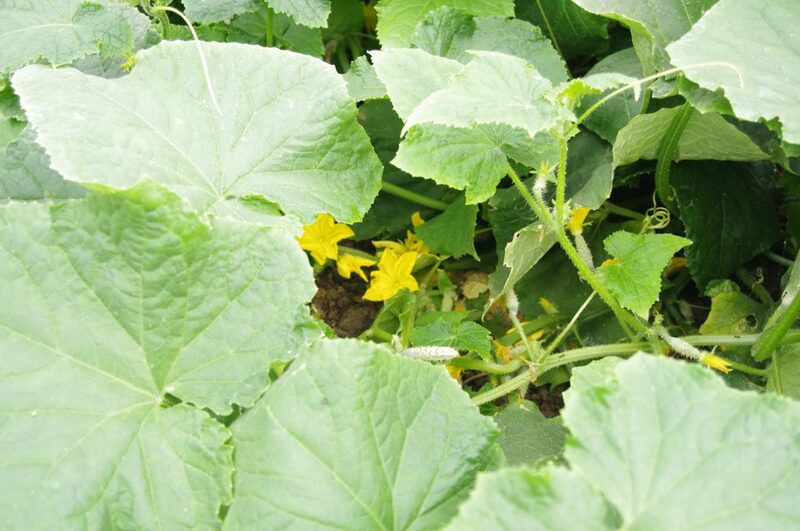 I harvested 4 buckets of cucumbers from one 90′ bed of Spacemaster bush cucumbers. We harvested 2 buckets two days ago, and today they have really taken off! I also harvested 3 gallons of green beans – we planted Strike, a very upright variety. 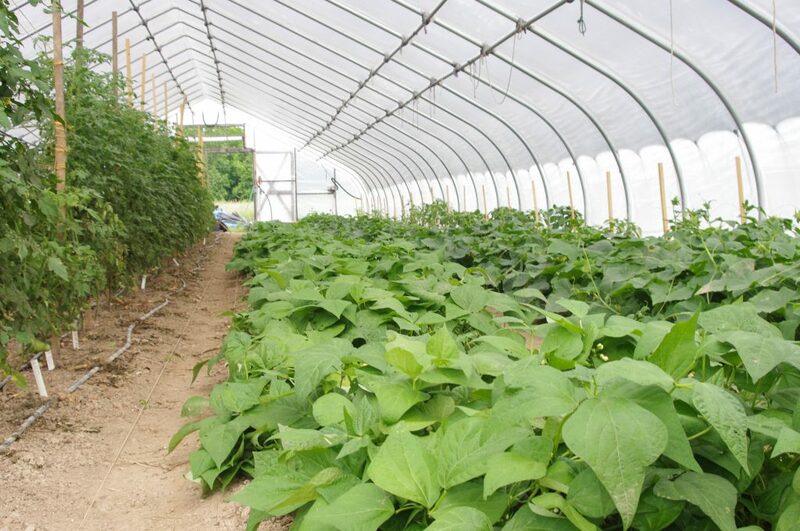 We find that bush beans tend to sprawl in the hoophouse, and the varieties that do well for us outside (Provider and Bush Blue Lake, from Fedco Seeds), grow straggly inside and the beans curve. It’s probably because the shadecloth on the hoophouse is too dark for beans. Strike beans in our hoophouse. See the big shade cloth over the hoophouse. 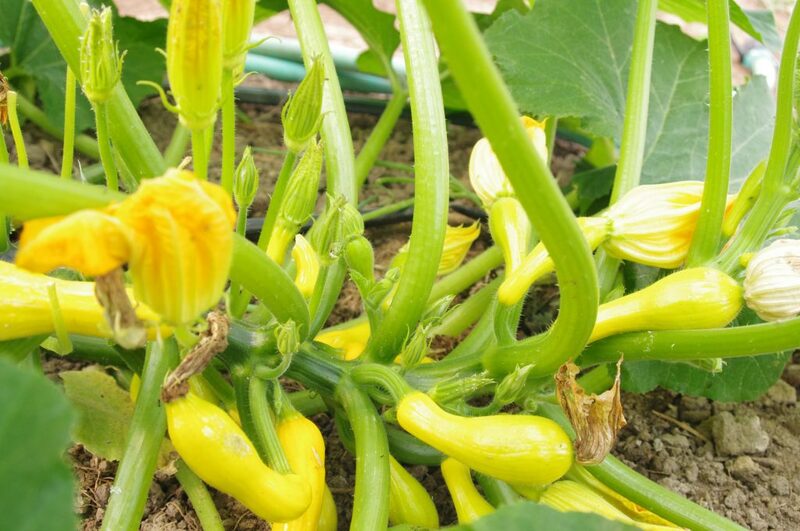 Gentry yellow squash in our hooophouse. Tomato plant with aphids and sooty mold. Aphids excrete a sweet liquid called honeydew. In warm moist conditions this sugary substance grows a black mold on every deposit. This is called sooty mold. We have been dealing with it by jet-washing some of the tomatoes every sunny day, and we are winning. The photo above was specially chosen to demonstrate the problem – it’s not a crop to be proud of at this point! 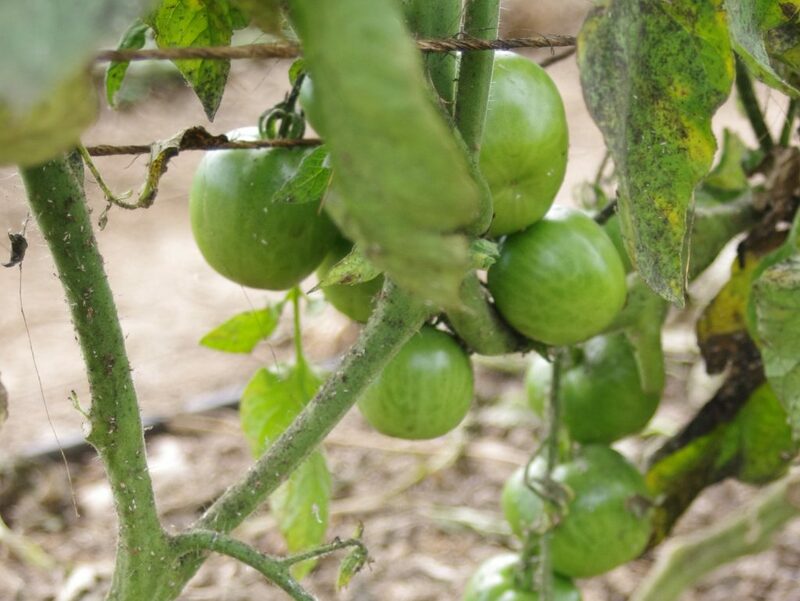 We use a brass jet-spray nozzle on a hose and wash them in the middle of the day, so the leaves can dry quickly – we don’t want any more fungal tomato diseases moving in!